Matt O’Grady has always been interested in what can’t be seen but what can be felt, and experienced. He always knew there was so much more to himself, to life, to being a human on the planet, and he has found that in studying emotional awareness, consciousness, spirituality and working and playing with his self development. 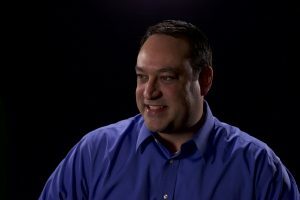 Matt Studied Psychology at Hofstra University and has worked in marketing for the last 20 years, starting off at Harcourt, Inc. A serial entrepreneur, Matt has owned many businesses, including a regional magazine and custom publishing company, and now, a digital marketing company, HarmoniaMedia.com. Matt is the Author of Living Gratitude: A Simple Path to Happiness and the Law of Attraction Workbook. He also co-hosted the Matt and Phil LOA Show for 4 years and now hosts his own podcast. He is President of MattOGradyCoaching.com where he teaches his clients how to be happier, more successful and, grateful. I'm inspired to write because it allows me me to express my feelings, my passion, my ideas, connected to my life's mission which is to help as many people on the planet become happier and more successful. First I meditate, I let my inspiration lead me to write about what I care about the absolute most That I believe will help the most people most efficiently and help get them motivated! Just do it. The time is now. Waiting is just another way to give in to the resistance, you can do it! Self publishing. There are so many choices but I loved the idea that I could manage and control all of it myself. It helps that I own a digital marketing company and have an amazing team to support my mission and products. It will continue to evolve but I think the ease in which we can 'listen' to books and other media such as podcasts these days is an amazing way to receive information that can help our lives.